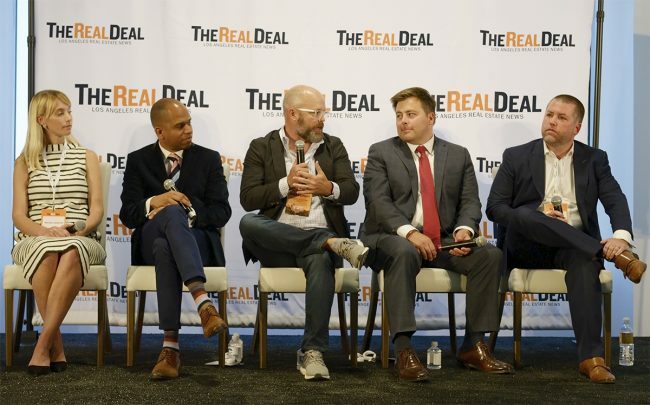 At The Real Deal’s DTLA Spotlight Showcase and Forum on Wednesday, a panel of top real estate developers and brokers helping to transform Downtown say the area has experienced dramatic change in the last decade but is still in the early stages, suffering from a lack of vital services, including schools. Still, the area’s infusion of restaurants and apartments has drawn people in. Potential office tenants see it, too, said Rachael Zanetos, Brookfield Property Partners’ director of leasing. Tenants, she said, are increasingly interested in a location’s proximity to amenities that their employees want. Creating that vibrancy is a matter of tenant choice, but developers often have to weigh the “hipness” of a tenant with their viability, said Rising Realty’s Matthew Ahrens, who talked about leasing at PacMutual’s 460,000-square-foot office campus. 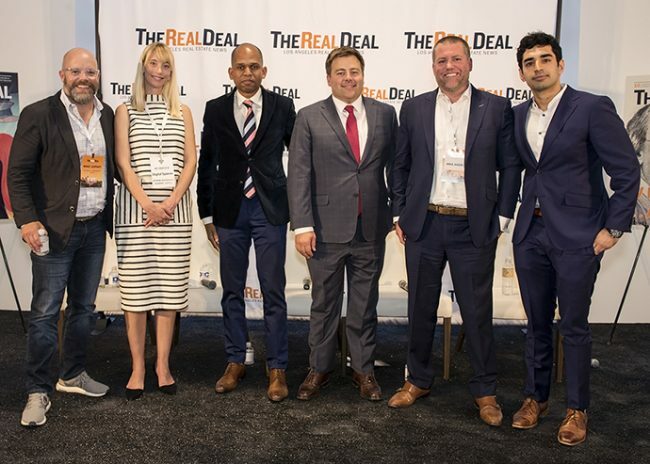 TRD’s editorial director Hiten Samtani, who moderated the panel, asked if developers must have some “index for coolness versus credit,” to weigh those. “They’re called interns,” Ahrens said. Downtown is still a work in progress, the panelists said. Most of the condominiums and apartments in the pipeline are priced on the high end. So the question remains, are there enough buyers and renters in the market? Mike Leipart, who leads new development at the Agency, said a divide “between what is being built and who is here” still remains. That might make it hard to attract the young, less affluent renter who help creates the energy that Downtown needs to attract higher-end buyers, said Leipart, who leads the firm’s new development sales. Leipart’s firm is the second brokerage on Greenland USA’s billion-dollar Metropolis mixed-use project, which has experienced some delays. When asked about what was going on at that project, he defended Greenland, saying residential developments of that scale take years to evolve and sell out. But Downtown will keep expanding, panelists said. Ricardo Pagan, founder of Claridge Properties, is one of the developers betting big. The company, in a joint venture with Peebles Corp. and MacFarlane Partners, is developing the $1.2 billion, 1.26 million-square-feet Angels Landing mixed-use project in DTLA. It will include a charter school, something that Pagan said no other developer has done Downtown. “I can’t cut it in two different ways, it is a luxurious project. I can’t shape this into something that it’s not. But the luxurious project is also bringing a group of things to the community [including] a school and affordable housing.” Units will start at two bedrooms and a minimum of 1,700 square feet. Developers also have more of a need to do transformative projects in DTLA than in other, more established parts of the city, Leipart said.